Reposted from Gongchao, 9 October 2017. Also see this music video made by the temp workers in Changchun. These mobilizations and strikes are a reaction to the discriminating use of temporary work by VW as well as the increasing work pressure in VW factories, and they reflect the demand of workers in ‘peripheral’ countries to close the wage gap in comparison with VW workers in Germany. The worker mobilizations hit VW – which is still partly owned and largely controlled by the German state – in a decisive time. While VW became (again) the biggest global car maker in 2016,15 the diesel emissions scandal, i.e., the deliberate violation of pollution regulations, and its ripple effects threaten to destabilize and weaken the company. At the same time, the apparent transition to electric cars poses a big challenge as the established factory-based mass production of fuel-run automobiles cannot easily be converted to producing battery-run automobiles.16 Now, the diesel emissions scandal might accelerate the intended (expensive) transformation of VW, and the workers are supposed to pay the price – at least, that seems to be the management’s plan. Meanwhile, the ongoing transformation of the Chinese economy – restructuring, relocation, ‘upgrading’ – is affecting all workers. The flattening of the economic growth rate since the late 2000s was followed by a flattening of the wage increase rate.24 However, the workers’ expectations are still high as they continue to demand improvements in the face of their still dire working conditions. After strikes and other struggles were largely successful in raising wages and improving conditions in the 2000s, they have been met with more counterpressure by managements and the state in recent years – a result of the tightening political control and repression of social protests under the CCP leadership around president Xi Jinping since he came to power in 2012–13. It is against this background, that the temporary agency workers at FAW-VW in Changchun face the joint ignorance and repression by VW, the Chinese state-owned enterprise FAW, the CCP authorities and the police. Their struggle is still going on, more will follow. 1 For more information see: http://www.faw-vw.com. 2 China Labour Bulletin. 2017. “Hundreds of Volkswagen workers in northeast China demand equal pay.” February 27. Retrieved September 7, 2017: http://www.clb.org.hk/content/hundreds-volkswagen-workers-northeast-china-demand-equal-pay. For China’s Contract Labor Law see People’s Republic of China. 2008. 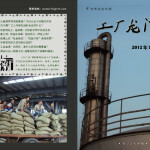 “China’s Labor Contract Law.” lawinfochina.com. Retrieved September 13, 2017: http://www.lawinfochina.com/display.aspx?id=6133&lib=law. 3 Volkswagen. 2012. “Charter on Temporary Work for the Volkswagen Group.” Volkswagenag.com, November 30. Retrieved September 13, 2017: https://www.volkswagenag.com/presence/nachhaltigkeit/documents/policy-intern/2012%20Charta%20Temporary%20Work%20EN.pdf. 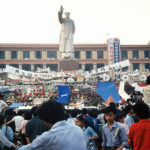 5 China Labour Bulletin. 2017. “Volkswagen worker representatives arrested at Changchun plant.” June 6. Retrieved September 7, 2017: http://www.clb.org.hk/content/volkswagen-worker-representatives-arrested-changchun-plant. 6 FAW-VW Workers, Changchun. 2017. “Joint letter demanding the unconditional release of Fu Tianbo who represents us in the defense of our rights.” Weibo posting, August 18. Retrieved September 7, 2017: https://m.weibo.cn/status/4142182485694066 (Chinese), http://www.labournet.de/?p=122305 (English, German) and FAW-VW Workers, Changchun. 2017. “Open letter to the Central Inspection Team.” Weibo posting, September 13. 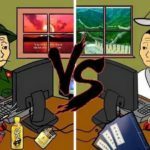 Retrieved October 5, 2017: https://m.weibo.cn/status/4151463591098974 (Chinese). 7 China Labour Bulletin. 2017. “Chinese Volkswagen workers call on German parent company to assume responsibility for violations.” July 13. Retrieved September 7, 2017: http://www.clb.org.hk/content/chinese-volkswagen-workers-call-german-parent-company-assume-responsibility-violations; China Labour Bulletin. 2017. “FAW-Volkswagen agency workers issue letter in German calling for accountability and solidarity.” July 19. Retrieved September 7, 2017: http://www.clb.org.hk/content/faw-volkswagen-agency-workers-issue-letter-german-calling-accountability-and-solidarity; FAW-VW Workers, Changchun. 2017. “Call for mediation by temporary workers from FAW-Volkswagen (Changchun, China).” Weibo posting, July 15. 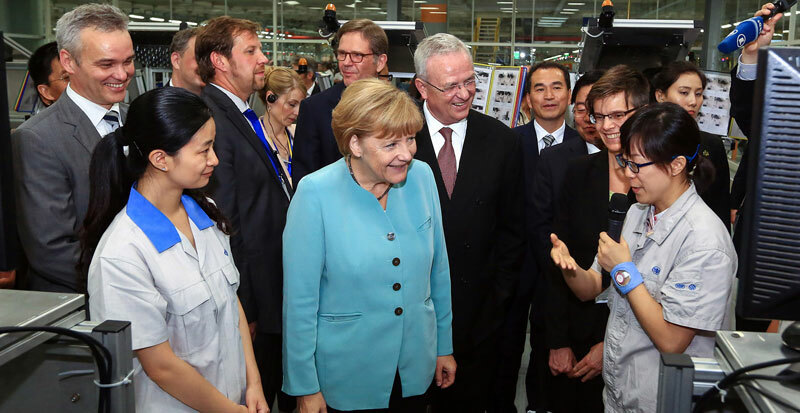 Retrieved September 15, 2017: https://m.weibo.cn/status/4130289368060226 (Chinese), http://www.labournet.de/?p=119093 (German); FAW-VW Workers, Changchun. 2017. “We demand a clear reaction from VW Germany on our call for mediation.” Weibo posting, August 13. Retrieved September 15, 2017: https://m.weibo.cn/status/4140342817384118 (Chinese), http://www.labournet.de/?p=120251 (German). 8 VW Works Council. 2017. “Letter from the VW works council in Europe to the temp workers in Changchun, China.” Weibo posting, September 2. Retrieved October 5, 2017: https://m.weibo.cn/status/4147464845757775 (Chinese, German), http://www.labournet.de/?p=119093 (German). 9 For the comment (“德国人不管，我们自己奋斗吧”) see https://m.weibo.cn/status/4147464845757775 (Chinese). Those familiar with VW, the VW works council, and the IG Metall leadership will not be surprised by the reply letter. One of the two heads of VW’s European and global works council, Bernd Osterloh, interprets his post as that of a co-manager at VW and was the subject of a recent row in Germany about the hundreds of thousands of euros he earns at VW every year. See Tatje, Claas. 2017. “Satte 750.000 Euro. Der Betriebsratschef von Volkswagen verdient wie ein Topmanager. Das ist zu viel.” Zeit Online, May 17. Retrieved September 30, 2017: http://www.zeit.de/2017/21/vw-betriebsrat-chef-bernd-osterloh-gehalt (German). 10 Der Spiegel. 2017. “Volkswagen soll Militärdiktatur in Brasilien unterstützt haben.” Spiegel Online (German), July 24. Retrieved September 17, 2017: http://www.spiegel.de/wirtschaft/unternehmen/brasilien-volkswagen-soll-militaerdiktatur-unterstuetzt-haben-a-1159357.html; Norddeutscher Rundfunk. 2017. “Komplizen? VW und Brasiliens Militärdiktatur.” 4 Podcats on NDR’s website, Retrieved September 17, 2017: https://www.ndr.de/info/podcast4344.html (German). 11 Shotter, James. 2017. “VW agrees 14% pay rise to end Slovakia strike.” Financial Times, June 25. Retrieved September 16, 2017: https://www.ft.com/content/251ac470-59da-11e7-b553-e2df1b0c3220; Bershidsky, Leonid. 2017. “VW’s Strike in Slovakia Exposes a European Divide.” Bloomberg, June 21. Retrieved September 16, 2017: https://www.bloomberg.com/view/articles/2017-06-21/a-strike-in-slovakia-exposes-a-european-divide. 12 Inicjatywa Pracownicza. 2017. “VW Poznań: They sack us – we form a new union!” ozzip.pl, August 10. Retrieved September 15, 2017: http://ozzip.pl/teksty/informacje/wielkopolskie/item/2284-zaloga-volkswagena-oni-nas-zwalniaja-a-my-zakladamy-nowy-zwiazek-zawodowy (Polish), http://www.labournet.de/?p=120198 (German). The workers’ struggles in Poland and Slovakia benefit from a relative labor shortage. VW has increased production and built new plants but cannot easily find enough workers. Unemployment in several eastern European countries has fallen as emigration and changing demographics have led to a drying out of the labor market. 13 Wise, Peter. 2017. “Warning over Portugal car plant after strike.” Financial Times, September 3. Retrieved September 16, 2017: https://www.ft.com/content/61f662ca-8f0c-11e7-9084-d0c17942ba93. 14 VW-Autovision Workers. 2017. “VW Emden: Etwa 100 Beschäftigte der Konzerntochter Autovision verlangen Verträge mit VW.” labournet.de, October 3. Retrieved October 7, 2017: http://www.labournet.de/?p=122156 (German) and http://www.labournet.de/wp-content/uploads/2017/10/vw_emden_resolution.pdf (German). 15 Inagaki, Kana. 2017. “VW overtakes Toyota as world’s biggest automaker in 2016.” Financial Times, January 30. Retrieved September 13, 2017: https://www.ft.com/content/8c3471f8-e6b5-11e6-893c-082c54a7f539. 16 Ewing, Jack. 2017. “As Emissions Scandal Widens, Diesel’s Future Looks Shaky in Europe.” The New York Times, July 25. Retrieved September 16, 2017: https://www.nytimes.com/2017/07/25/business/diesel-emissions-volkswagen-bmw-mercedes.html. 17 Clover, Charles. 2017. “Beijing’s uneasy deals with overseas car groups under strain.” Financial Times, September 1. Retrieved September 5, 2017: https://www.ft.com/content/9d48dade-8ee3-11e7-a352-e46f43c5825d. 18 Holland, Tom. 2017. “Beijing’s grand plan for electric cars: looks good, but under the bonnet…” South China Morning Post, August 28. Retrieved September 30, 2017: http://www.scmp.com/week-asia/opinion/article/2108353/beijings-grand-plan-electric-cars-looks-good-under-bonnet. 20 Zhang Lu. 2015. Inside China’s Automobile Factories: The Politics of Labor and Worker Resistance. New York: Cambridge University Press, pp. 29–30. 21 Zheng Lichun and Che Pan. 2017. “Three Chinese automakers may build joint factory in U.S.” Caixin, September 13. Retrieved September 14, 2017: http://www.caixinglobal.com/2017-09-13/101144727.html. 22 Ruckus, Ralf. 2016. 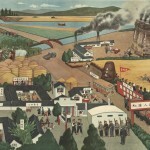 “Chinese Capitalism in Crisis, Part 1: Zhang Lu on exploitation and workers’ struggle in China’s auto industry.” In: Sozial.Geschichte Online, 18, pp. 119–144. Retrieved May 8, 2016: http://duepublico.uni-duisburg-essen.de/servlets/DerivateServlet/Derivate-41181/07_Ruckus_ZhangLu.pdf. 23 Zhang Lu. 2010. 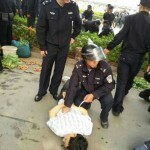 “Do Spreading Auto Strikes Mean Hope for a Workers’ Movement in China?” labornotes.org, July 13. 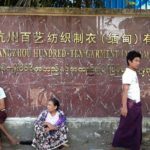 Retrieved June 20, 2016: http://labornotes.org/2010/07/do-spreading-auto-strikes-mean-hope-workers%E2%80%99-movement-china; Friends of Gongchao. 2010. “‘Sie haben das selbst organisiert’ – Die Streikwelle von Mai bis Juli 2010 in China.” In: Pun Ngai, Ching-Kwan Lee, et al. : Aufbruch der zweiten Generation. Wanderarbeit, Gender und Klassenzusammensetzung in China. Berlin: Assoziation A, pp. 225–257. Retrieved January 14, 2017: http://www.gongchao.org/2010/10/01/sie-haben-das-selbst-organisiert-die-streikwelle-von-mai-bis-juli-2010-in-china (German); Wang Kan. 2011. “Collective Awakening and Action of Chinese Workers: The 2010 Auto Workers’ Strike and its Effects.” In: Sozial.Geschichte Online, 6, pp. 9–27. Retrieved January 19, 2012: http://duepublico.uni-duisburg-essen.de/servlets/DerivateServlet/Derivate-29001/03_WangKan_Strike.pdf. 24 Hancock, Tom. 2017. “China’s migrant workers feel pinch as Beijing pulls back on wages.” Financial Times, September 3. Retrieved September 5, 2017: https://www.ft.com/content/0383433e-8ca0-11e7-a352-e46f43c5825d.